This is another hugely successful SUV, and as we again discovered in this test, quite justifiably so. 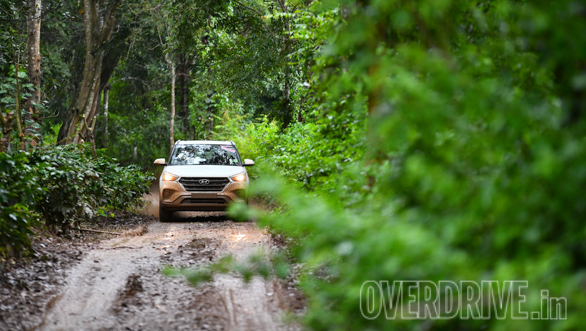 In fact, though we were very well aware of the Hyundai Creta's immense capabilities, it still managed to surprise us by how accomplished and proficient it actually is. The Hyundai Creta has balanced proportions and a smart design, but because of the large numbers on our roads, it has started to look familiar. The recent facelift has of course corrected this a bit, but the Creta still does not stand out in the way it did when first introduced. The visibility is terrific, amongst the finest for front seat-occupants. But the rear isn't as nice due to the rising beltline. The wiper sweep area is also amongst the best, and covers a vast expanse of the windscreen, cleaning all the way to the top. The overhangs are tiny, but the 190mm of ground clearance could be better, especially when the road gets really rough. The spare wheel is placed in the boot and easy to get to. The wide tailgate opening and low loading lip make it convenient to load luggage and the flat cargo area allows the available space to be well utilised. 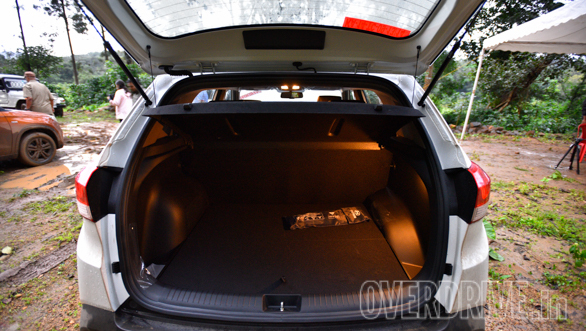 The cabin also has adequate storage space and is user-friendly. The build quality is appreciable too. The Creta has a great engine and splendid performance and the gearbox is also really nice with a very pleasing shift quality. The approximate 950km cruising range is the best-in-class, a result of the super fuel efficiency. The high speed stability is terrific, and being very predictable the Creta inspires confidence. 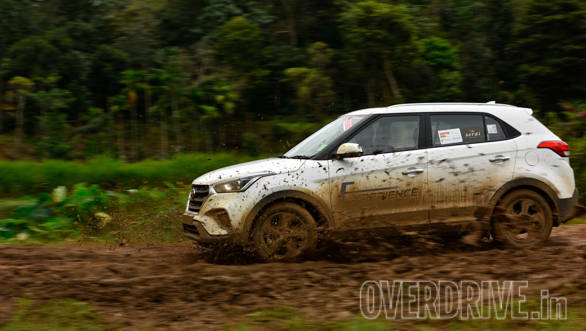 The Hyundai Creta was the second fastest in our special stage! And this truly sensational result, which we never quite anticipated, is primarily because it's well balanced and handles beautifully in the loose. The peppy engine, smooth power delivery and assured and positive braking also contributed to the timing. Whatever the surface, the Creta connects well with it, and manages to convey a high amount of confidence to the driver. What's even better is that it's really entertaining and fun to drive and rewards one with its willing and eager performance. The Hyundai Creta is undoubtedly the vehicle that won most hearts in this contest.